For more than 100 years, the Illinois Delta Chapter of Phi Kappa Psi has been an important part of the University of Illinois. During the past century, our Chapter has set itself apart from other fraternities on campus by producing men who have distinguished themselves as scholars, athletes, and men of character. Ensuring the academic, character, and leadership development of our 154 current undergraduate members and assisting the Chapter in recruiting and retaining quality men are certainly top priorities. Our home at 911 S. Fourth Street is instrumental in achieving excellence in these areas by providing the proper living and learning environment. 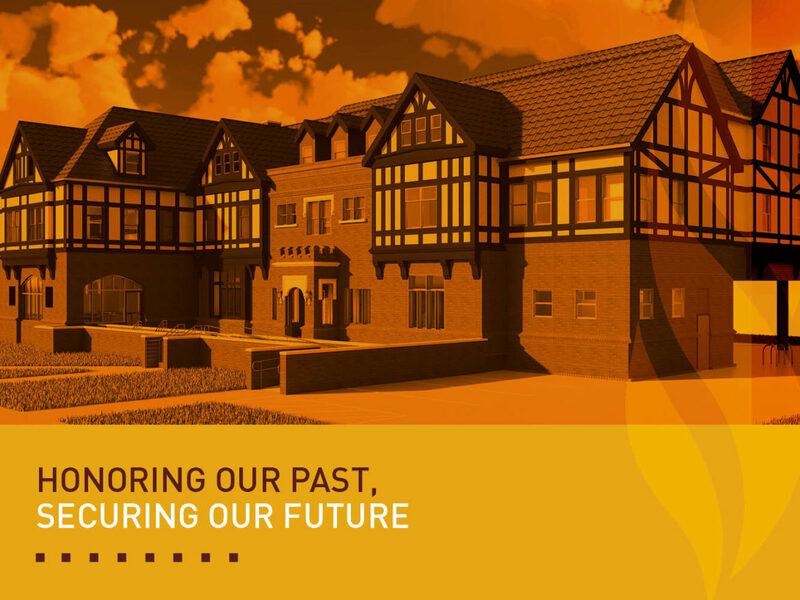 The new Phi Psi house will retain the original shape and Tudor character of the original 1908 structure in an effort to retain alumni connectivity, while the interior spaces have been designed to compete with the finest Greek and University housing available. The scope and scale of this project placed it among the seminal events that have shaped Illinois Delta. Today, it is our turn to do what our brothers did in 1908, lay the foundation for the success of our beloved Phi Psi with a home that promotes scholarship, compassion and leadership as set forth in our Ritual. Preservation of iconic architectural elements including the grand staircase, fireplace mantels, woodwork, etc.